Join this Harbour Bike Tour and sail away to Europe’s biggest port. In this 3-hour small group tour you will cycle through old, new and redeveloped parts of the harbour. 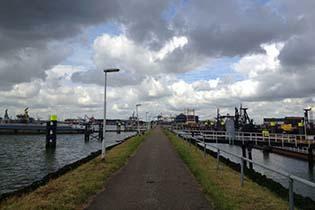 We hop on a boat with our bikes to sail off to one of the biggest container harbors in the port of Rotterdam. 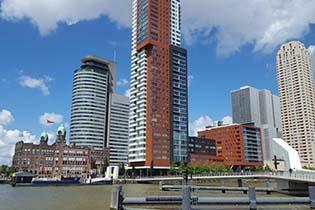 Get to know one of Rotterdam's city harbours. Experience harbor past, present & future. Explore upcoming industrial Heijplaat, a new hub for design, manufacturing and sustainability. Dive into the world of TEUs, maritime pilots and VHF channels. Cycle between enormous containerships and cranes. 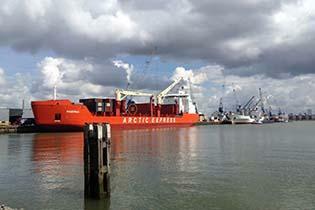 You will learn how the Port of Rotterdam is developing into the ‘smartest’ harbour in the world. This harbour is not only used for the transhipment of thousands of containers, but also many bulk cargo ships dock here to offload and onload. 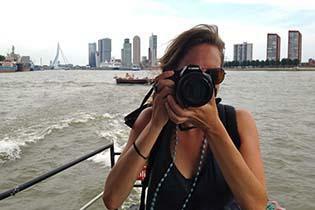 Especially during weekdays this Rotterdam harbour is very active and there is much to see and explore. You will discover the RDM area, a place recently transformed into a hub for Research, Design and Manufacturing. Go behind the scenes of the hotspot for innovation in the port. Take a look inside and see young entrepreneurs and students work on the future of the manufacturing industry. You will see interesting sustainability initiatives and even find a little secret beach - one with an ominous history - where the locals go for a swim in the River Maas. The Rotterdam Harbour Bike Tour is a very diverse, informative and active tour where you will really experience the harbour from up close.